Wiki: "The Ipswich Dock, (also the waterfront, Ipswich wet dock and the wet dock,) is the area of land around the dock in the town of Ipswich at a bend of the River Orwell which has been used for trade since at least the 8th Century. A wet dock was constructed in 1842 which was 'the biggest enclosed dock in the kingdom' at the time. 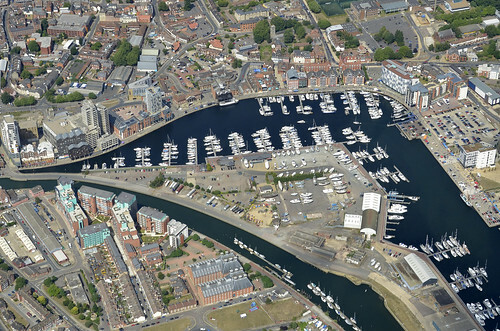 A major regeneration of the area has taken place since 1999."